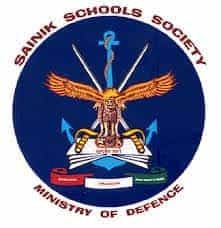 All India Sainik School Entrance Exam (AISSEE) 2018 Class IX Entrance Question paper with answers AISSEE Class IX Entrance 2018 Question with solution you can download it in FREE, if AISSEE Class IX Entrance 2018 paper in text or pdf for AISSEE Class IX Entrance 2018 Answer Keys you can download AISSEE 2018 page also just Go to menu bar, Click on File->then Save. All India Sainik School Entrance Exam (AISSEE) 2018 Class IX Entrance Question paper Free Download PDF is available in www.oldquestionpapers.net which has been provided by many students this AISSEE 2018 paper is available for all the students in FREE and also AISSEE Class IX Entrance Question paper 2018 fully solved AISSEE with answer keys and solution. You can get daily updates on AISSEE 2018 from www.oldquestionpapers.net here you can also check similar links for other related study materials on AISSEE Class IX Entrance Here All India Sainik School Entrance Exam (AISSEE) Class IX Entrance question bank 2018 is also available in Class IX Entrance English and Language. Q.1. If a number 573 xy is divisible by 90, then what is the value of x +y ? Q.2. How many sides does a regular polygon have, wherein, whose interior angle is eight times its exterior angle? (a) He asked me, “whether I had done my work”. (b) He asked me, “whether I had done my work”? (c) He asked me whether I had done my work ? (d) He asked me whether I had done my work. Q.5. Who became the Nawab of Bengal after the death of Alivardi Khan?